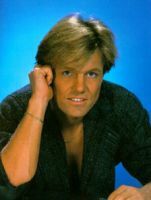 Following the dissolution of his successful dance-pop duo Modern Talking, composer and producer Dieter Bohlen turned his attention to a new solo project which he dubbed Blue System; also assuming vocal chores, he debuted in 1987 with the single Sorry Little Sarah, soon followed by the full-length Walking on a Rainbow. While early Blue System efforts like 1989's Body Heat, 1990's Obsession, 1991's Seeds of Heaven and 1992's Deja Vu were all produced with the aid of longtime collaborator Luis Rodriguez, beginning with 1994's X-Ten Bohlen took total creative control, heralding a shift away from the Eurodisco of past records to move into techno and house. Forever Blue followed a year later, but after 1996's Body to Body Bohlen officially reunited with former partner Thomas Anders to reform Modern Talking, with the duo issuing Back for Good two years later. He has been in the jury of Deutschland sucht den Superstar for seasons 1 through 6 and has scored several major hits with the participants. He is often criticized for his controversial and insulting comments ("You sing like a garden gnome on ecstasy", "Your voice sounds like Kermit when someone treads on his behind"). Bohlen has also released two autobiographical books about his career and his women and his experiences with singers. The first book was an unprecedented success in Germany. Both books were also released as audio books. In 2006, Bohlen issued a new album called Dieter - Der Film that was a soundtrack to a movie of the same name. Global sales of Bohlen's acts Modern Talking and Blue System were 125 million units and sales of all singles and albums produced by Dieter Bohlen exceed 165 million units. 2009 : Now wrotes songs for german artists like Daniel Schuhmacher ( German Idol) and Mark Medlock.